Whether you’ve come from a communications/PR background, a creative writing background, or a journalism background, the digital marketing field can be a place for you to take your love of writing and turn it into a fruitful career. Digital agencies, in-house teams, and even small companies all over the world are looking for writers to join their team. You may have heard these online writers labeled as content creators, content writers, or even content strategists. No matter what content-driven role you land in, and no matter your previous experience, if you want to make a splash in the industry you have to be equipped with more than better grammar and a unique way of storytelling. Jobs today demand that you know more than just creating a piece of content; You have to know how to market the assets you create, too. This is where SEO steps in. All content writers need to know SEO in order to take their skill set and work to a level that will compete with the other pieces in the market. A simple Google search will tell you that SEO stands for Search Engine Optimization. If you’ve ever had a brief encounter with SEO, you probably think of the words keyword research, titles, and link building. You’re not wrong. Those are definitely technical elements and tactics that you can use in an SEO strategy. As you can tell by the definition above, SEO isn’t really any one thing. It is a process or strategy that helps you get traffic from search engines without having to pay for advertising space. Content writing, social media, SEO, and your website all contribute to the success of your overall organic, or unpaid, marketing strategy. So Why Do Content Writers Need to Know SEO? You may be thinking, “If there are so many moving parts in a marketing strategy, aren’t there specialists in each area making it so I don’t need to be a jack of all trades?”. Yes and no. Many people working in the industry have a passion and a skill set meant for one specific area of the marketing strategy like content writing or social media. This has been a long-standing tradition in the field. Many people want to specialize in a given area and become a master at it. While that’s not a bad idea by any means, to truly be successful and stand out, you’ll need to know more. As a content writer, it is highly recommended that you also understand SEO for the following reasons. A new client has just started working with you. You are tasked to create their very first blog post. They are a small family-owned diner. How do you know what type of piece to create? What does the audience you intend to target look like? What are their interests and demographics? What are they searching for that leads them to your post? This is where a healthy dose of keyword research and some analysis comes in handy. If you do keyword research, analyze what competitors are in their area and what they are doing, and seek to understand the family diner story and tell it in a compelling way, you are utilizing SEO techniques that have been in practice for years. These tools of the trade will help you paint a better picture of the audience you’re writing to. This can also help you or your team build a successful website and social media campaigns. All of these elements are often considered technical SEO, but they can and should be done by the content writer who is creating the blog post. Make sure your blog has a clear and concise title or h1. H1 stands for heading 1. This is usually the biggest and boldest title on the page, and it is often displayed in search. Your h1 helps you rank on search engines for relevant keywords and lets readers know what they’re about to dive into. It is encouraged to use your target keyword here, but it isn’t the only driving factor in rankings. “How to Order at a Fancy Restaurant”, “7 Reasons Why Brunch is Underrated”, “The Ultimate Guide to Breakfast”. These are all examples of blogs with titles that contain keywords but are entertaining for the reader. They also make coming up in search for certain queries like “how do I order at a fancy restaurant? and “why is brunch a thing?” a lot easier! Here are a few examples of h1s on our site displayed in search. You can see how users can easily navigate to the page their looking for. Always write a meta description. For every page on the site and for every blog post you publish, make sure you’ve got a meta description to go with it. A meta description is a brief summary of what the page they are going to click on says. These are not read by bots and they do not increase your chances directly of being ranked in terms of keyword power. However, what they can contribute to is clicks. They let your audience know what they’re going to read. The more clicks you encourage, the better! Click through rate DOES matter to Google. 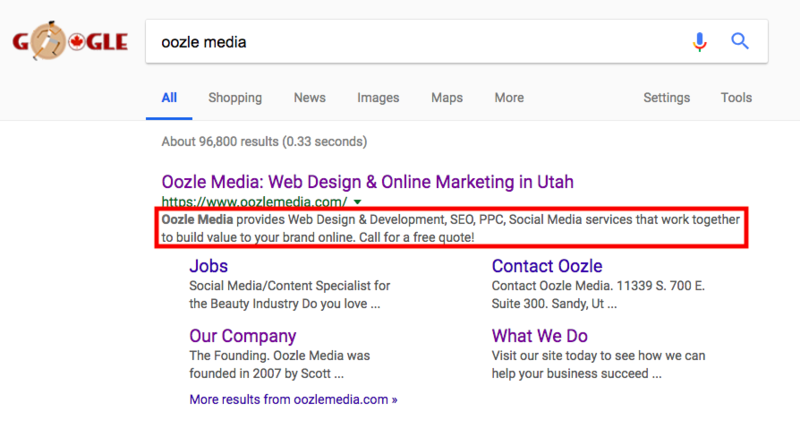 Metas can be found on search engine results pages (SERPS). You can see an example of our homepage meta in red. To write a stellar meta, write in the inverted pyramid style. The most important information should come first, followed by the less important stuff. It should be at least 140 characters long but it shouldn’t exceed 300. What is a blog without some great images? Boring. That’s what. Images help readers stay engaged with your piece. Whenever you use an image, you must give it alt text. Alt text contributes to SEO in two ways. When writing alt text, you want to describe the image to the best of your ability without going over the top. A lot of times, you organically use a keyword you want to target for the blog in the alt text. IMPORTANT: This is not a free-for-all area where you can just stuff keywords. That’s a no-no. The second way alt text contributes to SEO is in user experience. Those who have visual impairments use software that reads the page out loud to them. The software also reads image text so that the user knows what the images are contributing to the piece. Isn’t every content creator’s goal a piece that ranks on the first page of Google or goes viral on social media? If you want to achieve the former, you need to be savvy with the latest SEO tactics and not just buzzwords. 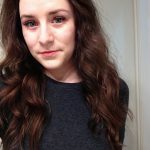 You’ll need to know which keywords have the most volume, write something interesting and new for your readers to digest, make sure your site is up to snuff with the latest in user experience so people can navigate your blog easily, and be ready to build some links using outreach best practices. Without any of these, good luck getting anything to rank! Don’t create content blindly. Analyze the outcomes and learn from every piece you create. It’s a good idea to let something run for at least a month before you start to break it down. Look at social shares, rankings for target keywords, and traffic in Google Analytics. If you’ve thought ahead, you probably even set up Event Goals and Tracking that kept count every time someone clicked on a link, called a phone number, or subscribed to your blog from specific pieces you’ve created. 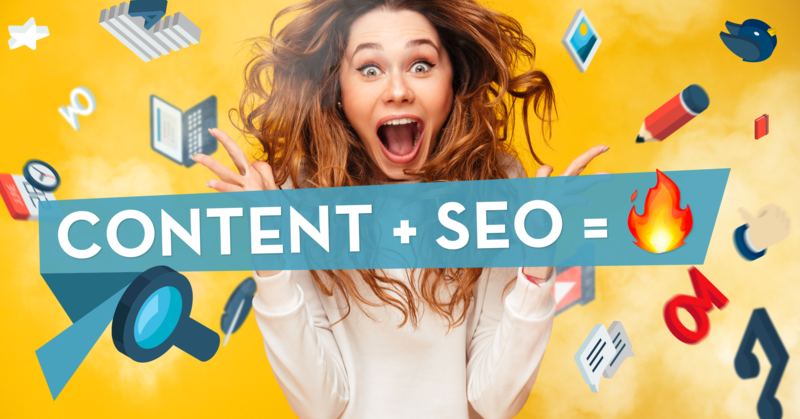 These are all things that might’ve fallen under an SEO job description in the past, but in order to be a great content creator, you need to be able to find and understand data on your own so that your content strategy can evolve. Are you a content writer on a team made up of writers, SEOs, social media experts, and other specialists? You’re going to need to work together to come up with the best results for your clients. That means understanding and collaborating with the other people on your team. Understanding other areas of the field can help you contribute to the strategy, create more effective content, and build a sense of teamwork. You’ll need to be able to work in, or at least understand, several different areas of practice in digital marketing to continue working in this field. Don’t believe us? Take a look at digital marketing thought leader Rand Fishkin’s “The T-Shaped Web Marketer“. Not only do we offer several services including SEO, content creation, social media, and web design and development, we strive to make sure all of our employees get their fill of learning. 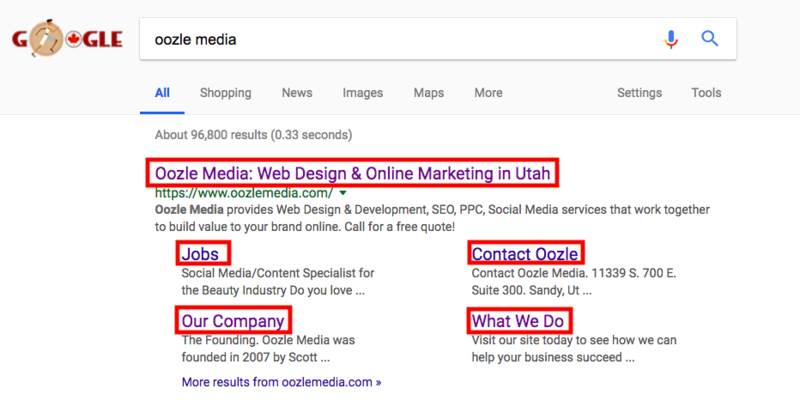 Oozle employees are often encouraged to explore all areas of digital marketing, no matter where their passions lie. If you want to work in a place that pushes you outside of your creative bounds and rewards you for doing more, take a look at our job listings. Drop us your cover letter, resume, and a few examples of your work, and we’ll get in touch!